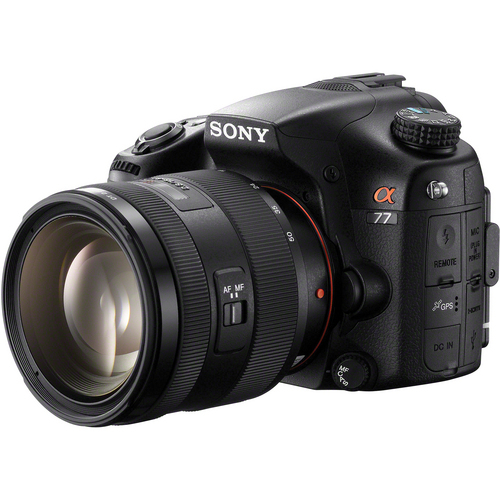 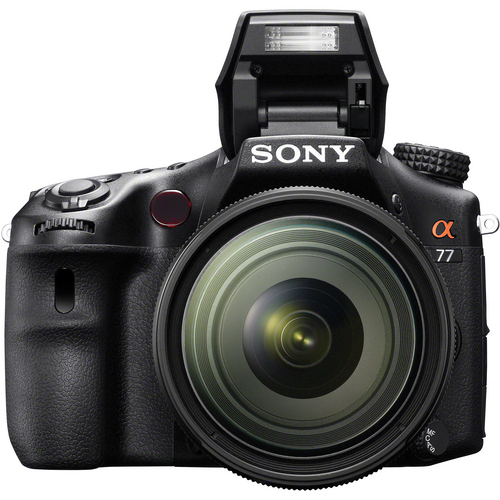 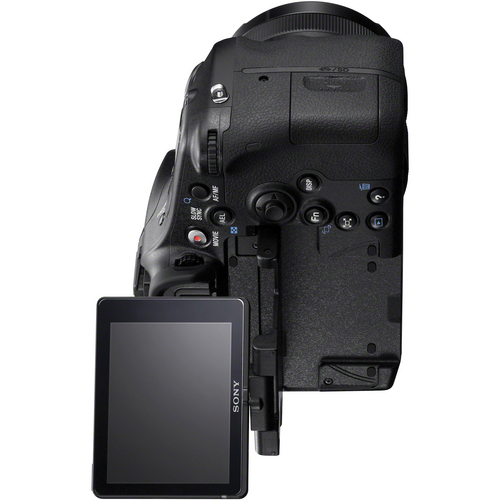 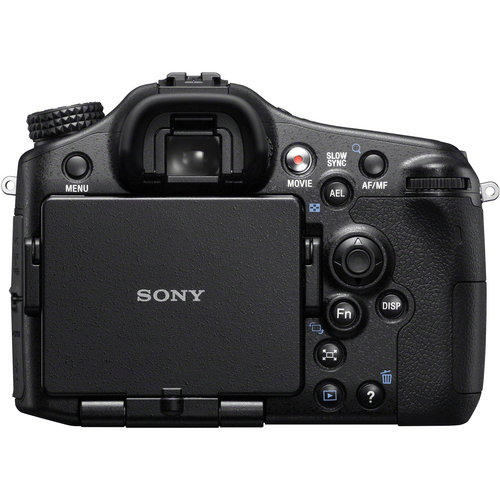 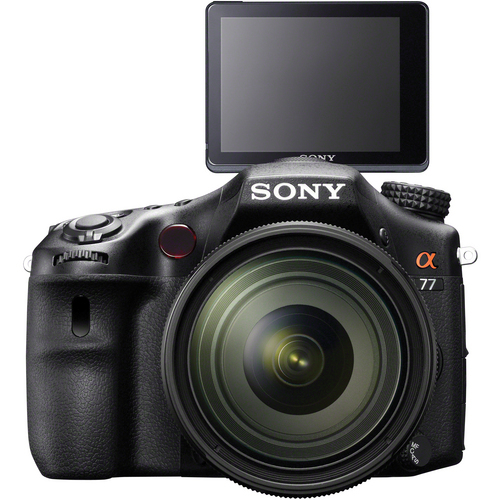 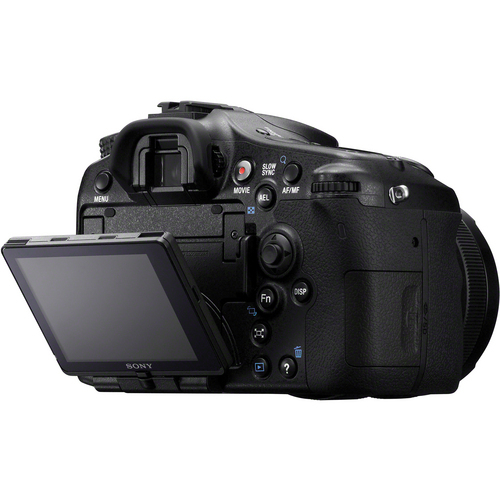 Sony's long-awaited replacement for the popular A700 represents a new pinnacle for Sony's SLT technology, which differs from DSLRs in having a fixed, translucent mirror rather than a moving one, and an electronic rather than optical viewfinder. 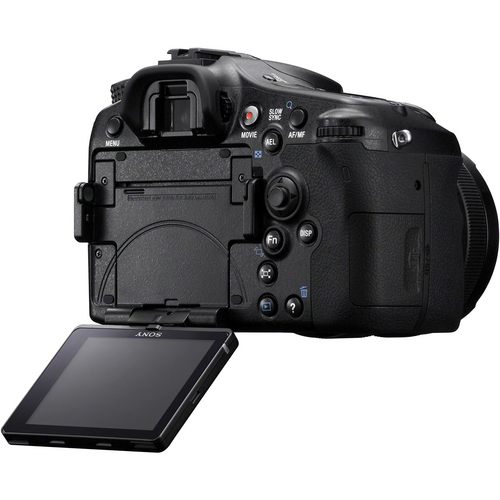 Its new 24.3MP CMOS sensor has the highest pixel count available on an APS-C sensor. 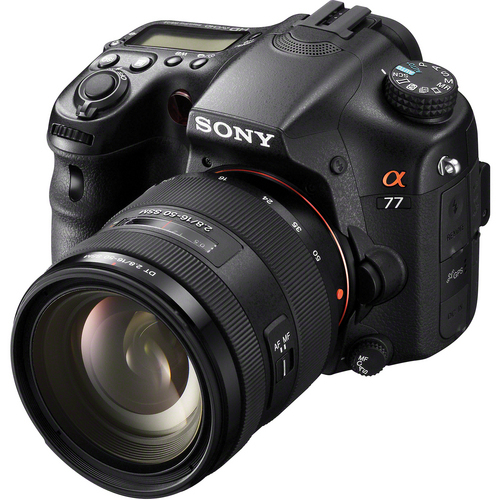 The fixed mirror enables the A77 to shoot continuous bursts at up to 12 frames per second (in Continuous Priority AE mode) with full time continuous auto focus, a feat not currently matched by any other camera. 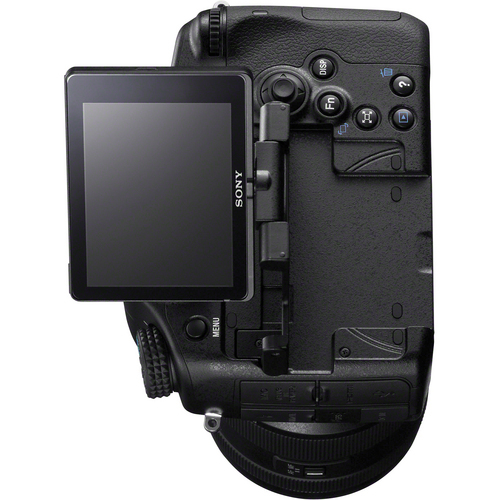 Viewing is via a new 2.3m-dot OLED electronic viewfinder (EVF), which is almost double the resolution of anything currently available, or by using an innovative new 3.0inch tilt-and-swivel LCD screen which can be positioned at almost any angle while remaining in line with the lens. 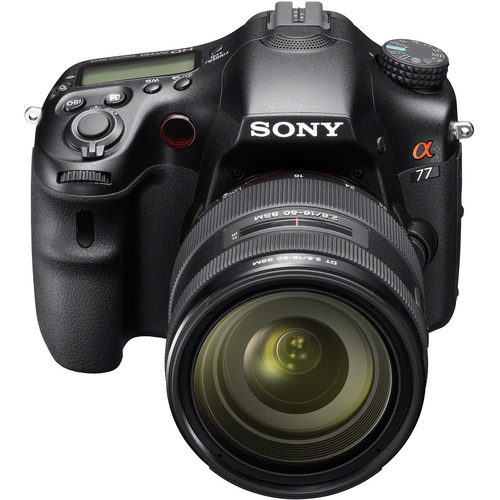 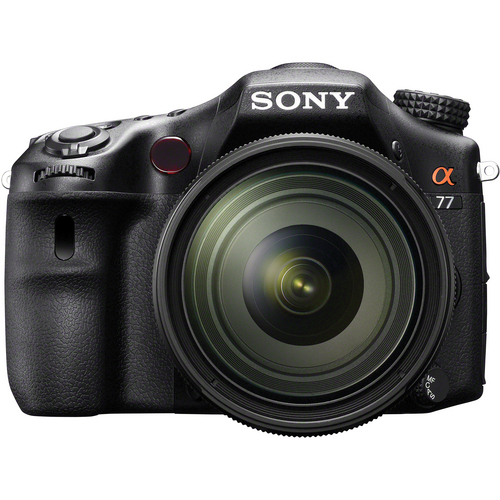 Constructed from a robust magnesium alloy body the A77 features a new AF system with 19 points, 11 of which are cross type (which wort at apertures of f/5.6 or wider) and 1,200-zone metering, with ISO up to 16,000. 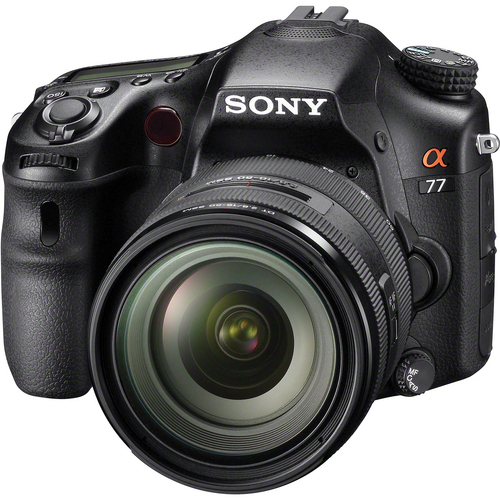 For video users the A77 offers full 1080p HD recording using the new AVCHD 2.0 format. 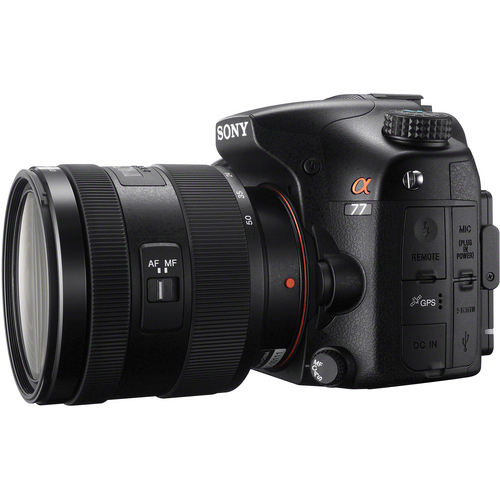 Other key features includes built-in GPS, automatic vignetting and aberration compensation, a Smart Teleconverter which provides instant 1.4x or 2x magnification, as well as features found in Sony's other cameras such as Sweep Panorama, Auto HDR and Twilight modes. 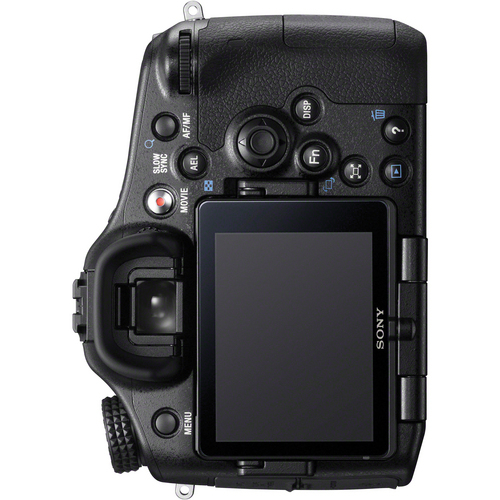 In addition, 11 Picture Effects filters include Miniature Mode, two mono styles, and Selective Color.